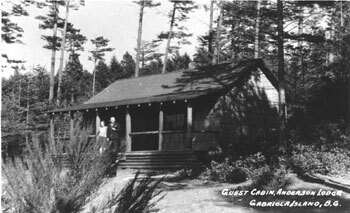 Gabriola has long been a summer destination. 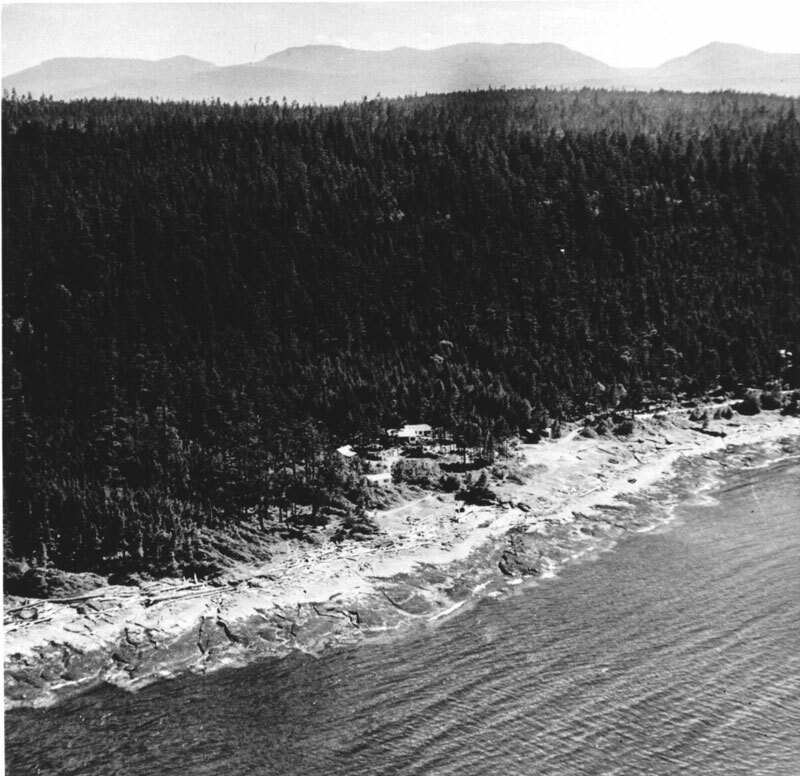 There is evidence that the Snunéymuxw enjoyed summers along Gabriola’s False Narrows shoreline. 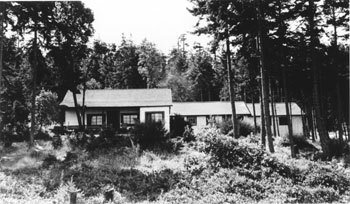 Anderson Lodge and Surf Lodge provided a rustic atmosphere and a place for families to enjoy the summer sunshine of the West Coast. 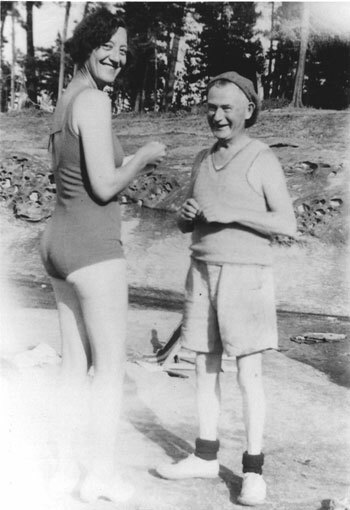 Mrs. Atkinson standing with Sam Lawrence on beach near their summer places near Anderson Lodge, Seagirt Rd. 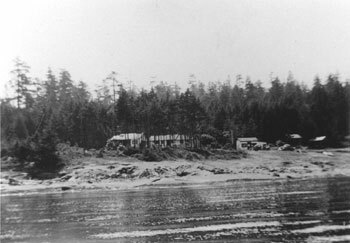 Anderson Lodge, n.d.
Photo of summer visitors on Descanso dock, probably leaving Gabriola. Eating ice cream from Willie Coats' store at the ferry. 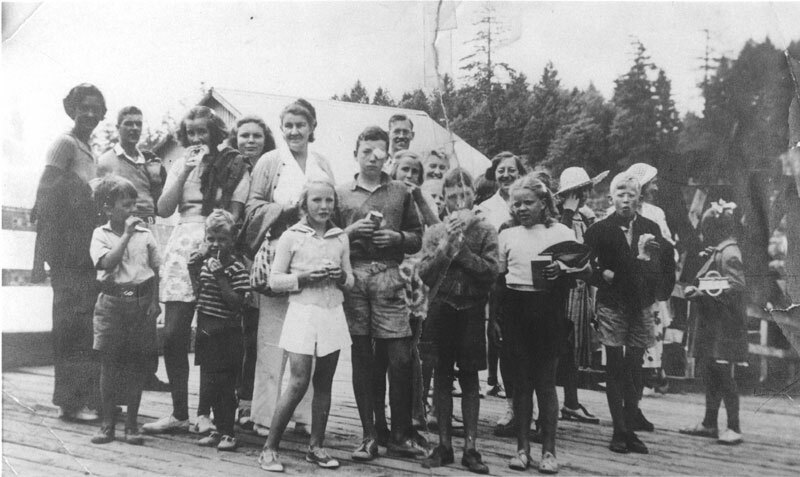 Name of people (mostly left to right): Gladys Noble, Rout Harvey, Daphne Pearce-Elvidge, Lucy Pearce, Patricia Atkinson, Christopher Atkinson, Rob Noble, Barbara Pearce, Sheila Harvey, Anne Harvey, Philip Keatley, Mes. 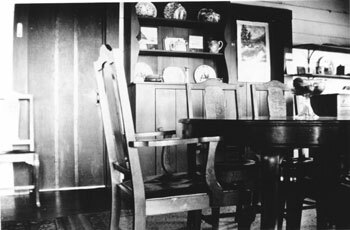 Atkinson, Geraldine Blackhall, possibly John Harvey and possibly Mrs. Harold Darby. 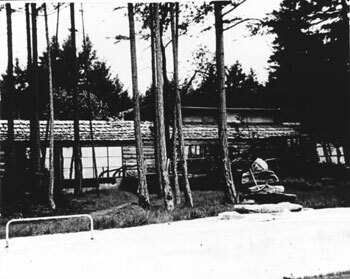 View of the Surf Lodge from the pool. 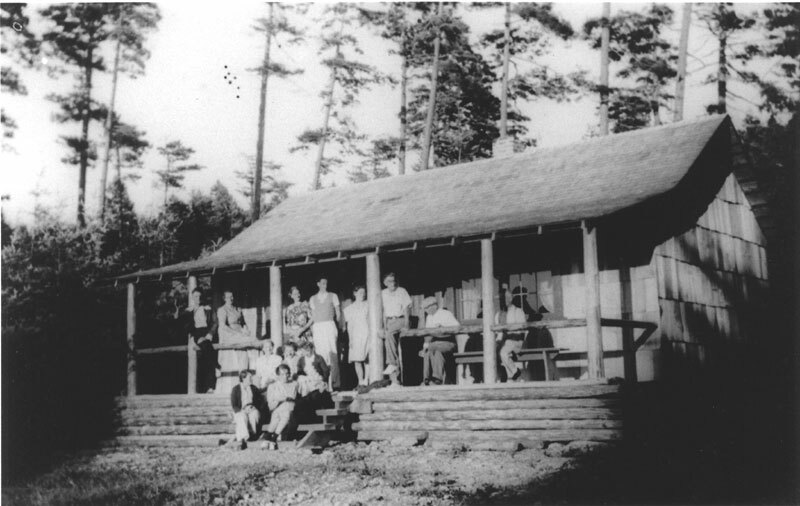 Photo of guests on porch of Anderson Lodge cabin.